2016 was successful for St. Petersburg tourism in terms of overall number of tourists and profitability. 2017 promises to be nearly these figures and maybe slightly up mostly due to ongoing Chinese wave and the FIFA Confederations Cup to be held in May and June. The preliminary statistics say that about 7 mln tourists visited the city in 2016, 4.7 mln are Russians who started to opt for internal destinations over recent years because trips abroad had been getting more and more pricey as the ruble had been falling against the euro and the dollar. 2.3 mln are foreign visitors which is a very good result, though official tourism statistics are being often criticized for being inadequate and insufficient. In any case, these statistics even with its mishaps are enough for getting the overall picture. The growing trend is confirmed by other figures. The Sapsan train’s ridership on the St. Petersburg — Moscow line increased by 37% to 4.7 mln trips. The Allegro train (St. Petersburg — Helsinki) served 385.000 passengers in about 11 months, a 7% increase to 2015. Hotel statistics collected by Knight Frank consultancy also give positive figures of occupancy rates and revenue per room across 3*, 4* and 5* hotels, we wrote about the KF’s report here. Our conversations with hostels brought an understanding that the season 2016 was good for them too. Even a hostel-newcomer to the market launched on June 1 got nearly 100% occupancy rate during the summer with 95% of guests coming through the Booking.com and another 5% through social networks. The Hermitage museum attracted 4 mln visitors which is more than half of all the tourists or a bit less than half the St. Petersburg’s population (9 mln). Cruises recorded a slight decrease of 5% to 2015 in tourists which in its turn was worse than 2014. 456.495 visitors arrived at the Passenger port of St. Petersburg by 209 cruise ships. In 2017, the port is going to become an entry point for 543.000 guests (250 ships), an 19% increase to 2016. St. Peter Line ferry company managed to increase number of its passengers by 10% to 550.000 in 2016. In 2017, the company changes its network policy and fleet deployment by reducing it to one ferry and reschuffling ports of call across the Baltic Sea. St. Petersburg Pulkovo airport served 13 mln passengers in 2016, according to preliminary data, a 5% decrease to 2015. The decrease was caused by drop in international flights. Transport figures show that there is a shift to cars and railways instead of airlines in getting to St. Petersburg. Some other data. 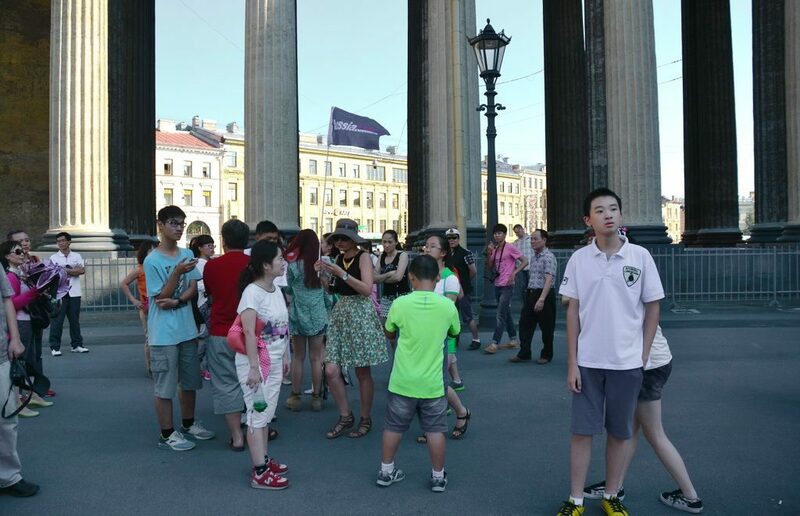 The St. Petersburg tourist informantion offices hepled 200.000 visitors, 55% of which spoke Russian language. St. Petersburg tourism experts cautiously predicted that 2017 can see 7.5 mln tourists which is, we think, very optimistic. Though doesn’t look impossible. P.S. Here you can find fresh figures of 2017.